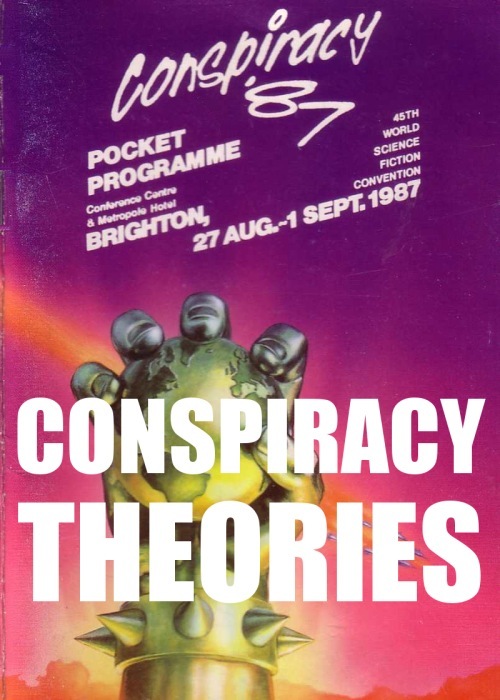 A symposium in which various fans and professionals discuss the controversial presence of Author Services Inc and related manifestations of L. Ron Hubbard at Conspiracy ’87, the 1987 World SF Convention held in Brighton, England. First published in booklet form in 1987. First published as an Ansible Editions ebook for the TAFF site in May 2015. 28,000 words. Contributors are Algis Budrys, Mike Christie, John Clute, Chris Donaldson, Chris Evans, Stephen Jones, Dave Langford, Peter Nicholls, Geoff Ryman, Lisa Tuttle and Ian Watson. Of the contributors to the original 1987 booklet, Charles Platt and Chris Priest asked not to be included in this ebook.